Is it Nokia 5 or Nokia 6? Only Nokia 3.1 plus(Mediatek) and Nokia 2(Snapdragon 212) are the other entry level phones to have not got the update. All Nokia 5 owners will have to change to a later model Nokia phone. Ha ha, I don't think. 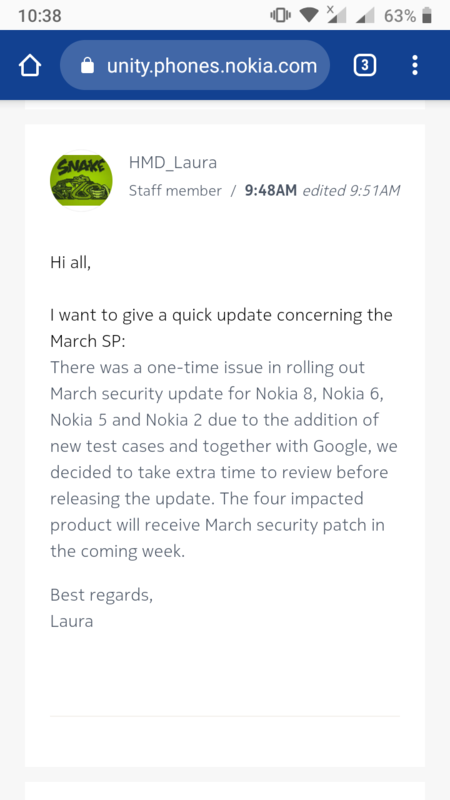 Thank you for sharing this with us, it confirms what we had feared - that security updates will only be provided until 2 years after the product launch. Now, HMD had mentioned this before, but it was not clear when the 2 years would finish. The launch was at the end of February 2017 but the Nokia 3, 5 and 6 were not actually available in many markets until many months after that. I think it's reasonable for customers to expect that the security updates continue until 2 years after the launch in their local market. Anything else I consider to be misleading advertising. So, where in the email you received does it say July 2019? I can't see that anywhere. Also, I see that the email says both 2 years from product launch and 2 years from purchase. Those are two very different things. Nokia 5 was first available in July 2017. So adding two years to it becomes July 2019. Nokia 6 was first available in Feb 2017. The 2 year expiry is calculated from the date of availability. Nokia 3 also launched with Nokia 5 in Feb 2017 became available only in June 2017 and received March update on 3rd April. But windows phone is a ''dead'' OS, isn't it? According to Nokia, there should be at least 2 years of software updates and 3 years of security updates. 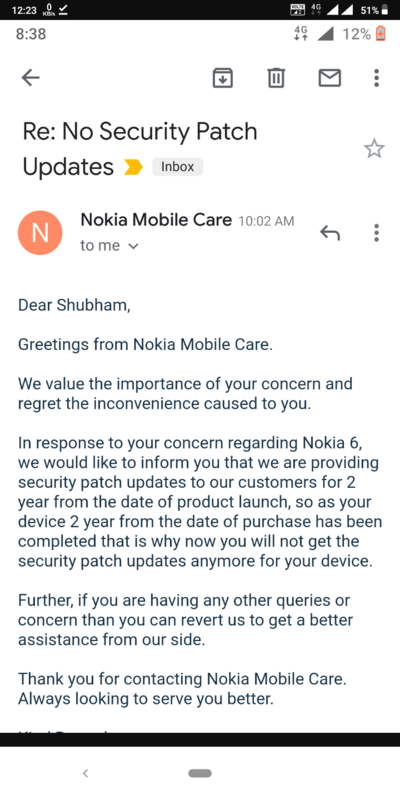 Android 10 for Nokia 5 will certainly not come, but monthly security updates will probably continue, I hope for about 3 years. Then Nokia would have done everything right. Hi @MatthiasR, when the 3, 5 and 6 were launched they only stated two years of updates of any kind as far as I know. It's difficult to find a reference now though. “What we are now committing (to) is that whenever a consumer buys a device, two years from that we will do the updates…” HMD Global CEO Arto Nummela told Gearburn at the South African launch event. Sarvikas stresses on Nokia's "pure Android approach", and said that customer feedback showed a demand for clean, easy to use, and snappy user interfaces. "The best way to do that is to do the purest form of Android out there," he says. "It makes it easier to roll out updates and commit to monthly security updates across the portfolio, so we can keep the consumer safe, and also deliver the latest features.” Sarvikas adds that Nokia’s Android phones are guaranteed software updates for two years. These are only written quotes, or reports, and only the quote from Arto Nummela is actually useful in our current discussion because he says the two years runs from the date that the device is purchased, not the date the device was launched. Unfortunately Arto left HMD a month or so after that article was written. If we can find a video of of the chiefs of HMD saying these things then that will be gold. I'm going to continue looking. @madbilly For a non Android One phone to get updates in the 3rd year it has to be an Android Enterprise Recommend Device atleast. Only Nokia 8 is an Android Enterprise Recommend Device which is not Android One. Nokia 3, 5 & 6 were not added in this list. We'll see what happens in about 3 months with the Nokia 5 (2017). think many have the devices of the first series will then certainly no new Nokia devices buy more. Actually it should not be a problem to bring monthly security updates, it's pure Android, it is always said at Nokia. 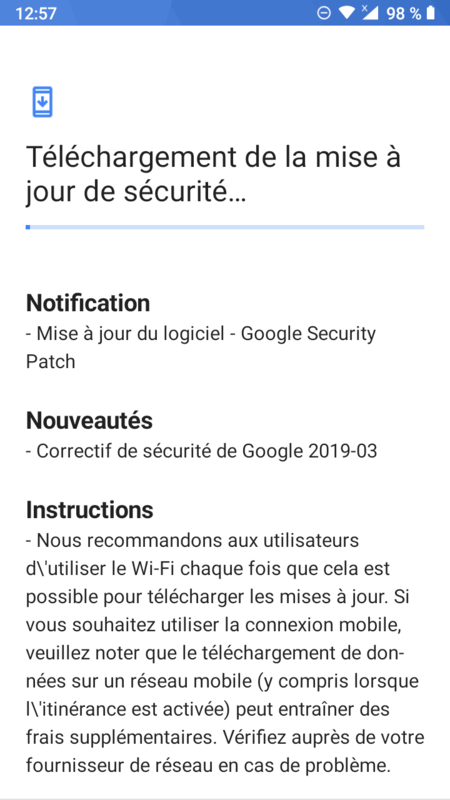 Have now received the security update in March 2019. 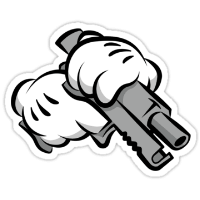 Version is currently called 00WW_6_12E_SP02.